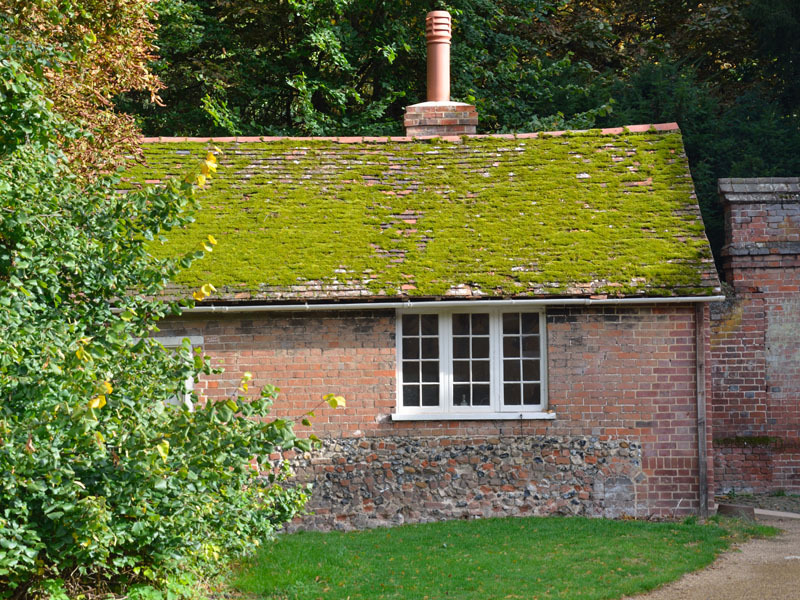 Some like the cozy, fairytale-esque look of moss overtaking a roof. Others think it looks aesthetically displeasing. Here in South Florida, it’s a phenomenon that homeowners have dealt with for generations. Moss grows on our roofs for a combination of reasons. Humid and moist atmospheres create an ideal environment for moss to grow on pretty much anything. As trees block sunlight from directly reaching your roof, they create a cool atmosphere with a perfect amount of sun exposure for moss to grow. They also send leaves and organic debris falling onto your shingles that act as a catalyst for natural growth. Roof moss threatens the integrity of your roof and the health of those within. Moss holds water like a sponge, accelerating the deterioration of your roof as shingle granules loosen and entire shingles crack and pry apart. Water can then leak into your home and rot the foundations of your roof. Preventative Maintenance – Eliminate conditions that are supporting moss growth. Trim surrounding trees that are casting unnecessary shadows and causing debris to land on the roof. Keep your gutters clean and the water spouts clear of organic plant-life. Moss Killing Products – There are several moss-killing products on the market, but not all of them are safe for your roof. All of them pose health-risks due to chemical exposure as well. Make sure you research the product or call a local professional before applying. Dry-Powder products tend to work well, but they require you to walk on the roof and can leave white streaks on your shingles for weeks. Liquid products attach to a garden hose and can be applied from the ground, but they tend to be more expensive and can be visually hard to follow. Windy conditions can also make this a dangerous task. Proper Ventilation – Make sure your roof is well-ventilated to prevent condensation from forming in your attic. Without proper air-circulation, moss is likely to grow on the interior and exterior of your roof. Call the Professionals – DIY options are always enticing, but when you’re dealing with industry-specific projects you can end up causing more harm than good. Your local roofer will have a preferred moss-killing brand, trained experts to safely apply them, and expert tips that will help in the future. The next time you ask yourself, “how can I remove the moss from my roof?”, call the professionals at Hi-Rise Commercial Roofing. We’ll provide a free roof inspection, give you a no-obligation quote, and check your roof for any vulnerabilities beyond mold exposure. Go online or call 954-792-5651 for more information!